Harvey moved from his hometown when he was a young man, determined to quite literally run away from his problems (namely his family) and start afresh. But after forging a big-city career in talkback radio, Harvey isn’t feeling quite like himself anymore – he’s fumbling his words, his mojo is fading, and a celebrity host is eyeing his precious time-slot. With his father on the brink of death, Harvey resolves it is finally time to head back home to Shorten and face the demons he left behind all those years ago. But this is all easier said than done. His family are difficult, as most are, and Harvey finds himself reflecting on the family that he built for himself with his ex-partner Suze – what type of father has he been to his two daughters? Has his relationship with his father caused more damage than he’d like to admit? 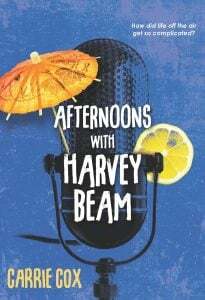 Afternoons with Harvey Beam is a strong debut from a well-known columnist and journalist, and it’s interesting to read a woman narrate a male’s perspective so convincingly. Harvey’s character is clear and well-developed – he is inherently flawed, yet undeniably likeable with his cringe-worthy humour and general daggy-ness. Cox captures the character voice well, writing with such ease and flow that it were as if she were narratingher own experiences. The book explores some pretty heavy issues about family relations, and the ways in which we carry on the behaviours that we learn from our parents throughout our lives. Of notable emotional depth is the issue of a parent not loving their child, and how Harvey must navigate his confused feelings for his dying father, who he simultaneously resents and loves. The book is quite emotionally charged, but this is balanced with the consistent feel-good humour sprinkled throughout, so as to not overwhelm the reader. Afternoons with Harvey Beam is a feel-good read full of laughs and life lessons, guaranteed to warm your heart on a cold, winter day. We recommend you cuddle up with a blanket and a cuppa and give it a go. 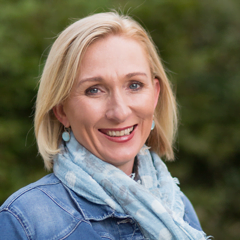 Carrie Cox is a journalist, author, tutor, mother and timid surfer, never all at once and not in that order. She grew up in Mackay, Queensland, and has also lived in Sydney, Brisbane and, since 2010, Perth. Carrie penned a weekly satirical column, ‘Carrie On’, that was syndicated to six newspapers over ten years until she ran out of things to say. She has also authored two non-fiction books, Coal, Crisis, Challenge and You Take the High Road and I’ll Take the Bus. Afternoons with Harvey Beam is her first novel.